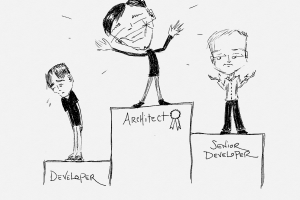 Shouldn't every developer be both an architect and a problem solver to deliver the best results? Sometimes in the month or so after New Years, things pop into my head as “micro-resolutions.” Basically, it’s stuff that I ought to start doing that doesn’t rise to the level of importance of altering my life. One such thing is balancing the sorts of posts that I make here. I want to start getting a little more even between how-to/coding, “life of a programmer” posts, and answering reader questions. Toward that end, here’s a reader question.